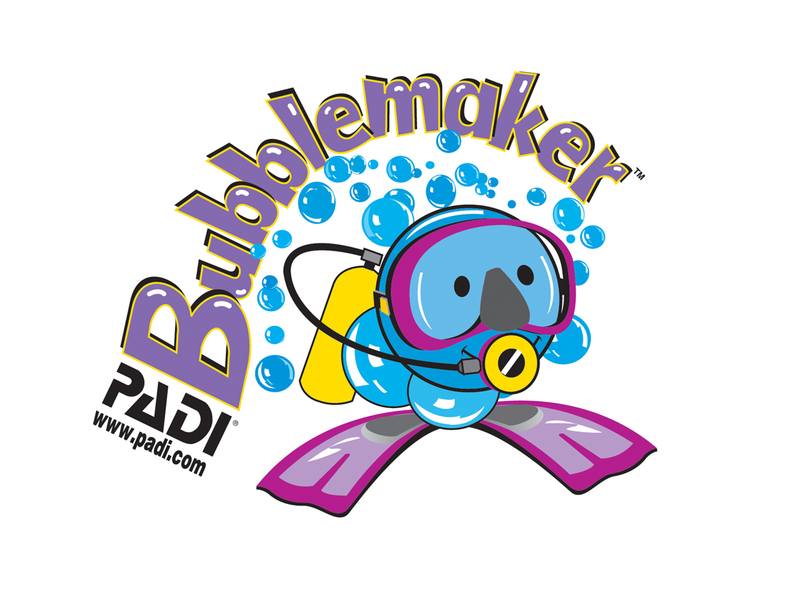 Our PADI Bubblemaker course is a scuba pool experience for 8 to 9 yr olds. 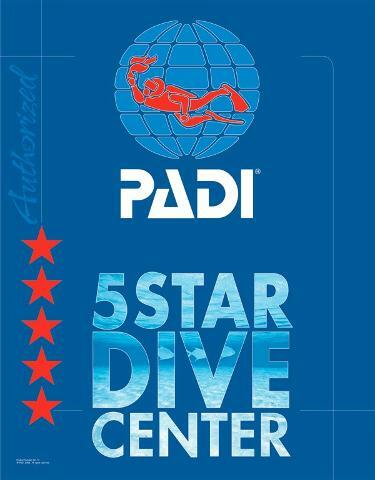 This course is designed to give your children a safe, fun underwater experience. 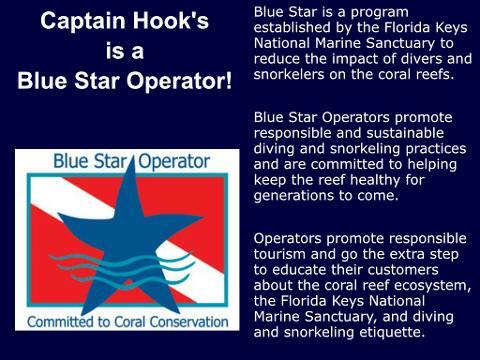 Course instruction includes a presentation on some important scuba diving rules and an orientation to scuba equipment. Then, it's in the pool to blow some bubbles. 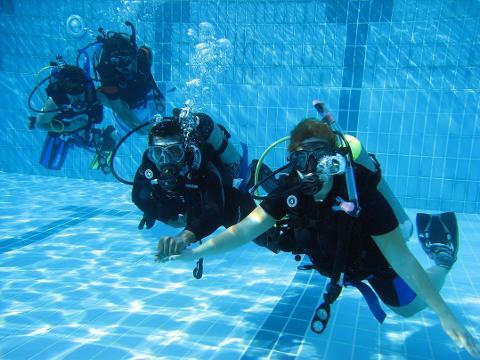 All children are under close supervision from their instructor while playing underwater games and challenges suited for their age group. 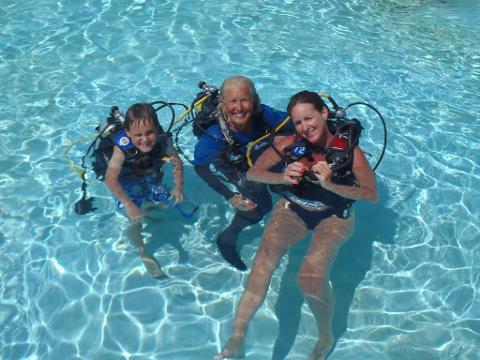 If your children are 10 years of age, you should consider a Discover Scuba Experience or Course if they are good swimmers.